When it comes to Viktor Orbán’s new offices, money is no object! In 2014 it was announced that the Offices of the Prime Minister would move from Hungary’s oversized parliament to the former Carmelite Monastery next to the presidential palace in the Castle District of Budapest. Originally estimated to cost HUF 5 billion (USD 18 million), by the end of 2015 the figure had increased to HUF 6.8 billion after it was decided to build a large hall suitable for hosting formal state events in the area where the monastery’s garden is presently located. In February, the government decided to add an extra HUF 1 billion (USD 3.6 million) to the budget with which to purchase artwork for the new Offices of the Prime Minister. 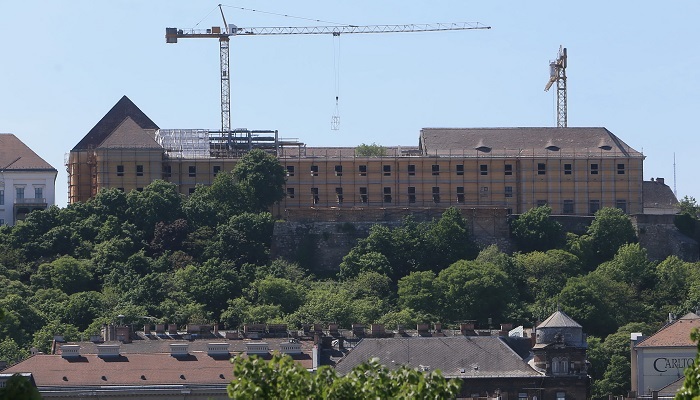 According to calculations by Hungarian news website Index.hu, the total cost of renovating the Carmelite Monastery will exceed HUF 20 billion (USD 72 million). This is in addition to HUF 4.9 billion (USD 18 million) spent earlier on “preparations”. Moreover, the cost of moving the previous residents – the National Dance Theatre – will top HUF 3 billion (USD 10.8 million). Moving the Offices of the Prime Minister has caused controversy not only because of the enormous cost but also because of building a new balcony overlooking the Danube. This part of Budapest is on the UNESCO World Heritage List, and such an addition would change the cityscape dramatically. Interestingly, the building of the balcony was not announced at all, but was noticed only by an architectural blog after parts of the monastery had already been demolished. It is not only the prime minister who is going to move to the Castle District. Last November, the Hungarian Gazette (Magyar Közlöny), the official government bulletin, announced that the Ministry of Interior and the Ministry of National Economy will also get newly renovated offices in the historic quarter. The interior ministry will move to Országház Street 28-32 and Úri Street 49-51, while the economy ministry will move to Szentháromság tér 6. The project to move the Ministry of National Economy was already awarded for a staggering HUF 26.7 billion (USD 96 million). Meanwhile, the government decided to expand the Castle project and is building new offices for the prime minister next to the Carmelite Monastery. As this will take more time than expected, Prime Minister Viktor Orbán – who had plans to move into Sándor Palace before – will probably have to wait until just before the 2018 elections before he can enjoy his new premises.